Everyone has something to hide. A missing private investigator is found, locked in a car hidden deep in the woods. Worse still – both for his family and the police – is that his body was in an area that had already been searched. Everyone has secrets. Detective Inspector Siobhan Clarke is part of a new inquiry, combing through the mistakes of the original case. There were always suspicions over how the investigation was handled and now – after a decade without answers – it’s time for the truth. By the twenty second book in a series I would have expected my engagement to have waned, I have read a few series over the past many years and rarely does an author still manage to capture my attention, still keep me up late reading, still make me question “can this writer get any better?” at this stage of the series. 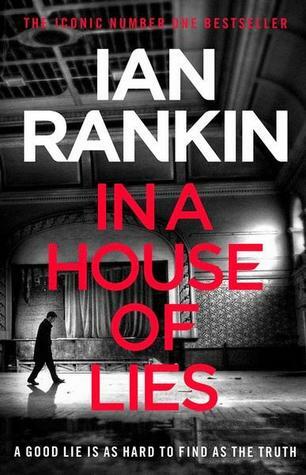 Ian Rankin and his Rebus series shines on. This is stand out crime fiction with the characters you know and love. Personally I think this series is getting better and better. I can’t wait for next year’s instalment. This entry was posted in Book supplied by publisher or author for review, Crime Fiction, Police Procedural, Post Script: Book Reviews and tagged Rebus #22, series. Bookmark the permalink.